I have always had a thing for cinnamon. So much so that my high school journalism teacher, Miss Hines (I never actually had her, but that’s a technicality), sent me off to college with a Sam’s Club canister of fireballs. I ate the whole thing first semester. By myself. These days I don’t eat much candy or Red-40 dye, for that matter. So when our honey man gave me a sample of cinnamon-flavored raw honey at the farmers’ market last spring, I was hooked. When I open the jar, there’s so much cinnamon collected at the top that the lid smells and tastes like fireballs. We go through a giant jar of honey every few weeks, using it in granola, granola bars, tea, sun tea and more. Lucky for me, the honey man’s wife, Mrs. Cathy Brandell, happens to work at Arie Crown. We clearly prefer cinnamon, but every flavor is fantastic. For whole wheat challah, I buy the Tupolo honey. To order, email jrbrandell@gmail.com and pick it up in the school office. 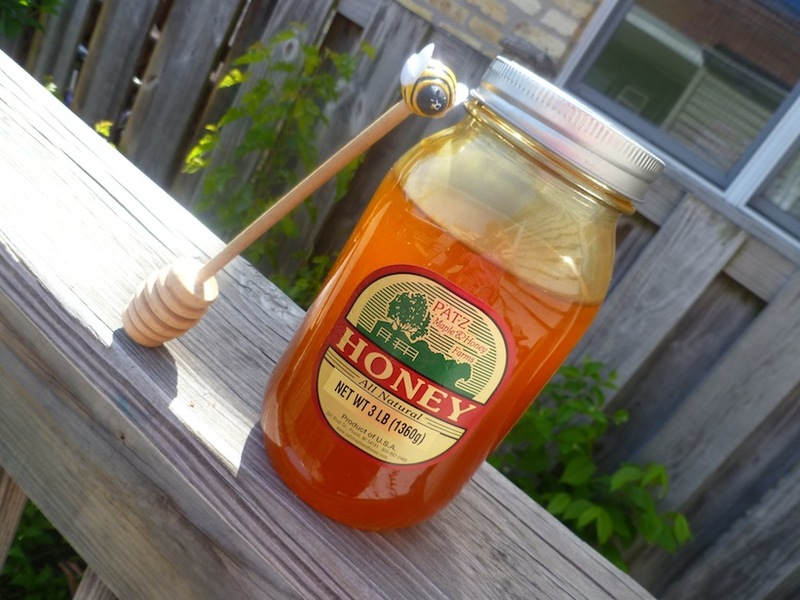 And if you’re not in Chicago, find yourself a honey man at your local farmers’ market. I guarantee his product will be significantly better than any honey you ever tasted. * Raw honey doesn’t need kosher supervision at all, but you can ask your LOR about eating honey with flavoring from raw extracts. the honey man’s wife is Mrs. Bee?????? i knew she had a honey farm but didnt know her husband was the farmers market guy!! yes! no one knows. even the secretaries wonder why I am always picking up large jars of honey in the office. check it out!